After nearly a year of restoration work, Mies van der Rohe’s McCormick House is set to reopen to the public in June 2018. 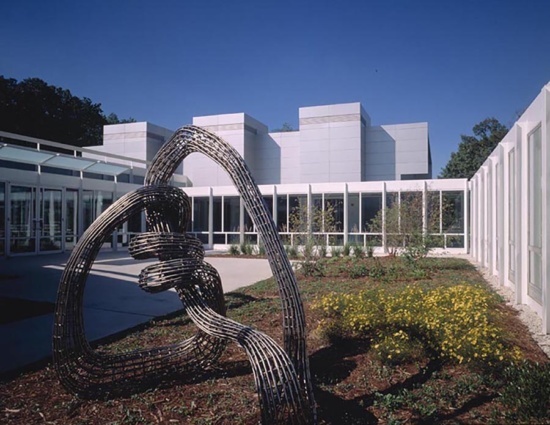 The building is owned by the Elmhurst Art Museum, located in Wilder Park in suburban Chicago. As reported by the Daily Herald, Berglund Construction is completing the $400,000 restoration with the guidance of Elmhurst-based Heritage Architecture Studio and the Elmhurst Art Museum’s Executive Director, John McKinnon. The initial objective of the multiphase restoration plan is the removal of a 1990s corridor addition. Originally located on Elmhurst’s Prospect Avenue, the structure was purchased by the Elmhurst Arts Museum in 1992 and was moved to its current location in Wilder Park in 1994. Following the migration, the McCormick House was physically connected to the museum through the construction of an addition. The extension, a series of pavilions connected to the McCormick House via a corridor, was designed by Chicago-based firm DeStefano + Partners, who won the 1998 Design Excellence Award from AIA Chicago for the project. While this addition facilitated movement between the two buildings and was in keeping with Mies’ original design, it obstructed views of his spartan and elegant façade. The one-story McCormick House, composed of glass and steel set upon a concrete slab, was built in 1952 for prominent Chicago inventor and magnate Robert McCormick Jr. and his wife, Isabella Gardner. According to the museum, the McCormick House was meant to serve as a prestigious suburban dwelling for the McCormick family as well as a prototype for prefabricated middle-class homes assembled with the same mass-produced materials, a real-estate project envisioned by McCormick Jr. The large-scale modular development scheme never came to fruition due to a lack of popular suburban amenities, such as air conditioning and a basement. 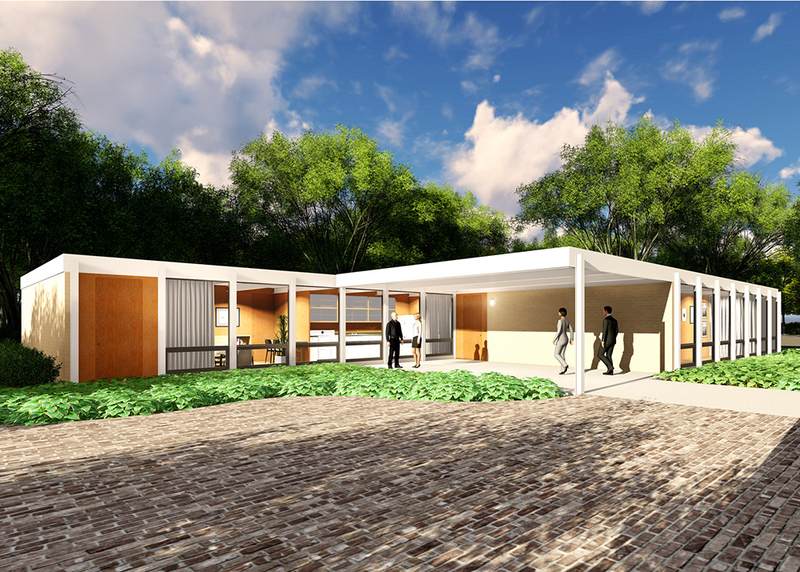 In an interview with the Chicago Tribune, former Executive Director of the Elmhurst Art Museum, Jenny Gibbs, stated that the restoration is intended to establish the McCormick House as a freestanding destination and gallery space, elevating it to a status similar to the Mies-designed Farnsworth House 40 miles to the southwest.